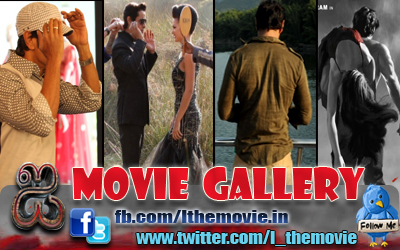 Vikram who is famous for his intense roles has shaped up for his movie Thaandavam, that releases today . The father and doting husband who is popular for his warmth and closely guarded friendships, for the first-time has acquired a sizzling hot bod. O f t e n , Suriya's body has been hailed as one of the most chiselled bodies in K'town, so Vikram went and went and hired the same trainer too. He hired Alkhas Joseph, who travelled with him to his shooting locations in London. 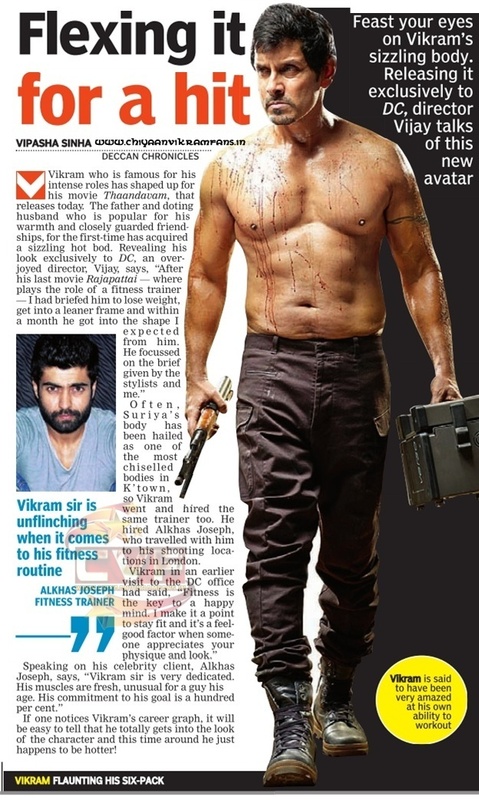 “Vikram sir is very dedicated. His muscles are fresh, unusual for a guy his age. His commitment to his goal is a hundred per cent.“ If one notices Vikram's career graph, it will be easy to tell that he totally gets into the look of the character and this time around he just happens to be hotter!